When I was a teenager, I used to read blog posts by people in their 20s and 30s who complained about how they don't read anymore. Reader, I scoffed. I had a pretty clear list of things that might happen to other people as they grow up, but would never, could never happen to me. Soul-killing jobs. A passion for running, cooking or, if God was really unkind, both. No reading. My job is okay, my legs unexercised, my mind still in shock after it discovered one can actually overcook pasta last month. I don't read much. Or perhaps I should say that I do read. It's only that books became what theater used to be for me. Something I enjoy but rarely go to, because it seems to require so much effort when so many alternative sources of entertainment can be had for no effort, and every time I do go, I tell myself, "This was worth the effort. I should do it more often." and then don't come back for another year or two. And so I've only seen a handful of plays in my life and read only a handful of books this year. It comes back to the same thing: easier entertainment to be had elsewhere. And yes, if we are to express everything in terms of entertainment and steer clear of categories like "learning," "self-improvement" or whatnot entirely, in most cases inferior entertainment too. I know that reading that Ishiguro novel would bring me more pleasure than refreshing tumblr for the 250th time today. That's not the point. Book blogging is a double-edged sword here. Knowing that I will have to write about a book adds more to the cost of reading it, a cost that my mind is already reluctant to shoulder. And because I'm bad at focusing on two things at the same time, it also creates a break between books that allows my mind to wander off into the world of the refresh button again. "No more books for you until you write that post about Their Eyes Are Watching God!" usually leads to no books instead of leading to a post. (Witness the life of this blog so far.) But blogging can be a tool as well. I have taken to carving time for reading. I'm not at the stage where I ride trains for it (yet), but this summer I've started to develop little strategies to trick my mind into reading. I'm hoping to add bragging to that list. I'm proud of the few books I read so far, snatched from the jaws of the internet, so I will make a list of them here. I am not sure which one of these I am going to write more about. So far the best strategy has been not to stop reading, to go from book to book with no pause. I'll have to figure out where writing about things and remembering them fits in this scheme. So here's my handful of books from August and July. 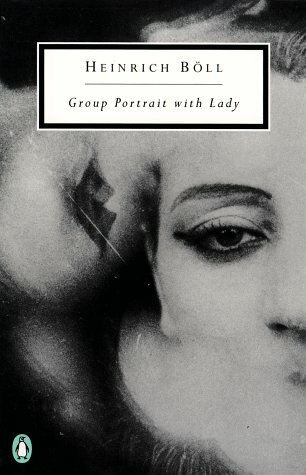 Heinrich Böll, Group Portrait with Lady: I have to confess I am unclear on the concept of "midcentury novel," but if I were pressed this is the kind of book I would point towards, at least in Europe. The aftermath of war, just enough experimentalism, somber humor and a few moments that manage to be touching. It also made me want to read some Kafka. Arthur Koestler, Albert Camus, Réflexions sur la peine capitale (Reflections on the Death Sentence): This is great little volume that could use an English translation. 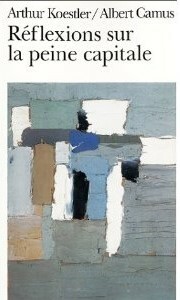 It takes an abridged version of a text by Koestler, Reflections on Hanging, which he wrote during the campaign for the abolition of the death sentence in the UK, and adds to it a symmetrical text by Camus, Reflections on the Guillotine, arguing for abolition in France, and a more historically-oriented essay on the situation in France by Jean-Michel Bloch. I really liked this idea, bringing together similar statements by two very prominent intellectuals, and I wish I could read something about its impact. 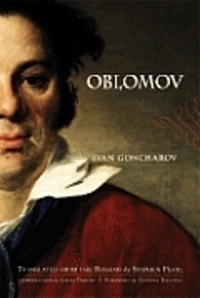 Ivan Goncharov, Oblomov: I didn't entirely forget that I was supposed to be reading Russian literature in 2014, you know. And I am glad that I didn't, because reading this book has been one of those "Where have you been all of my life?" moments one is sometimes lucky to get. I don't want to say much more about it here, but this book - especially in its first half - has made me so happy. Where have you been all of my life. 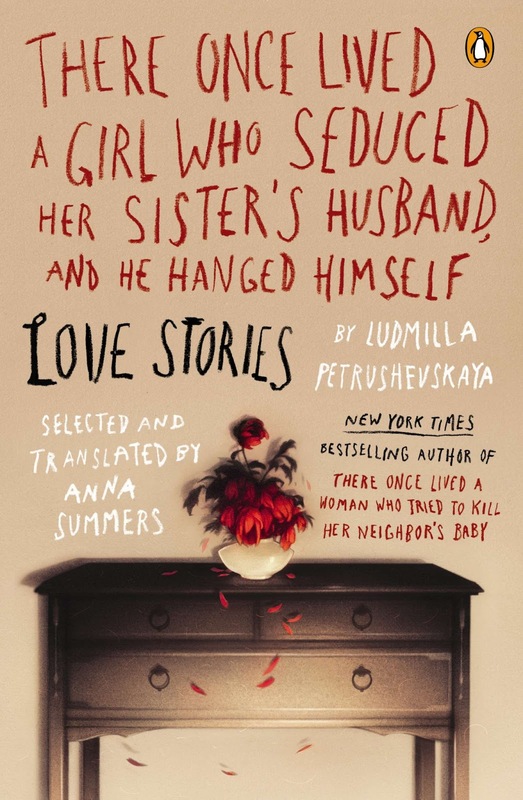 Ludmilla Petrushevskaya, There Once Lived A Girl Who Seduced Her Sister's Husband, And He Hanged Himself: To keep with the Russians. Short stories about shabby lives. Weird, sad, claustrophobic. "Claustrophobic" is a word I got from the preface and realized it fits more than just the Soviet apartments it was used to describe there. It fits these stories. But some of them are touching and that is enough. 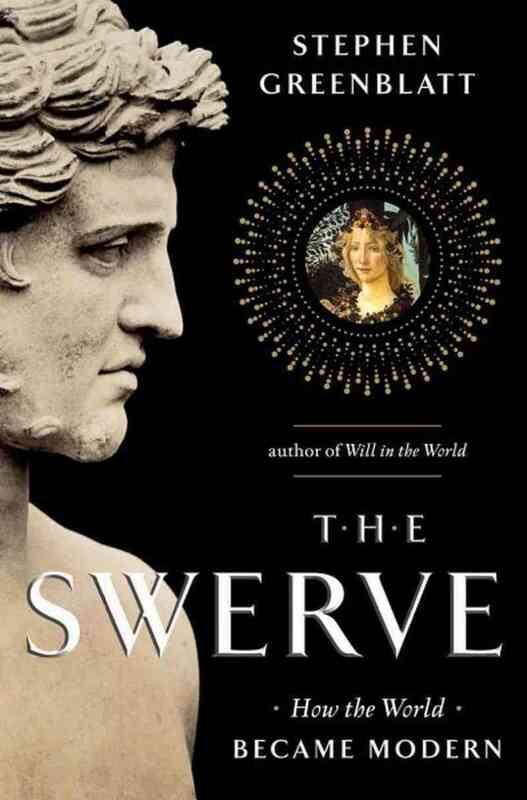 Stephen Greenblatt, The Swerve: How the World Became Modern: The history in this is firmly on the side of caricature, but it makes for a compelling tale. I'll keep to the terms of Greenblatt's tale, exaggerated as they may be, to describe it: an Italian humanist ("book hunter") brings to light one of the few surviving manuscripts of Lucretius' Epicurean poem De rerum natura and unwittingly unleashes modernity upon the world (hedonism! atheism! atoms!). This is what I've always imagined I'd find in Umberto Eco's The Name of the Rose if I ever got around to reading it (monasteries! crazy monks! dangerous books!). I hope I was not wrong. 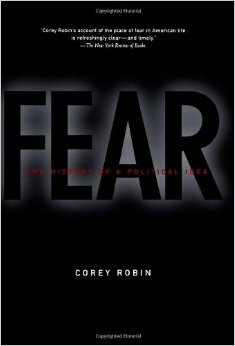 Corey Robin, Fear: The History of a Political Idea: I've actually also read The Reactionary Mind, but I'm too lazy to add the cover for that as well. Fear etc. is part intellectual history in broad strokes: how fear and its relationship to the state are understood by Hobbes, Montesquieu, Tocqueville and Arendt; part argument for a specific understanding of fear. Two main conceptions of fear and its role emerge from the historical analysis: fear as a political tool used by the elites within the state to control the masses or fear as an instrument of the destruction of the self under tyranny and authoritarianism and the main thing the modern democratic state is built in opposition to. Robin argues for the former. I do have some instinctive mistrust of intellectual histories that come out so neat, but in this case I don't care. It's not because of my sympathy to its politics, but because this book does such a good job at making you want to read the authors it discusses that I'd still feel I was given a gift even if it turned out its interpretation of them was not the best. 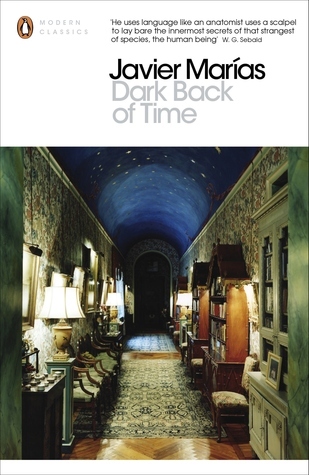 Javier Marías, Dark Back of Time: What a rich and strange book. I think I need to read it again to be able to say anything coherent about it, but damn, this man can write almost hypnotic prose. You know I'd forgive almost anything to people who can write compelling long sentences. I almost want to say that there is something to his sentences that reminds me of Henry James. I'd read more by Marías. I will read more Marías. 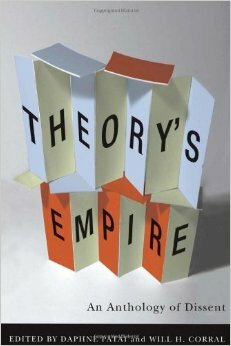 Daphne Patai, Wilfrido Corral, Theory's Empire: An Anthology of Dissent: Finally, this is what I'm currently reading. I've seen it mentioned somewhere recently and picked it up on a whim. Or because during the last year or so I must have heard the phrase "with the crash and burn of Theory" a dozen times from different people, and it made me curious. I've only read a few essays so far, learned a bunch of interesting things, but I've failed to get very invested in the topic, so perhaps I won't read all 700 pages of this, at least not linearly. I love the first part of your post, Claudia. And don't worry, I totally get it. I used to be that snarky teenager myself once. I still try to go for a run every once in a while, but it doesn't work for me. I've learned to cook out of respect for my mom who does shift work at the local hospital and should not come home to be my cook. But don't you think it's just a phase and we ask too much of ourselves? Look at that wonderful list. You have read a lot and very varied. You have also taken time to come here and tell us about it. Maybe you (and I) could start to see reading as a pleasure once again and be our comfort zone. Somewhere we are happy and don't mind if we don't blog or write or read too many pages a day. Thinking of reading as something I can naturally restore to, something that keeps me sane and happy has been the key to reading more and more every year. And inbetween, I watch as much TV as I can handle, because when I'm tired of it, I naturally go and pick a book. Regarding the books, I only tried to read There Once Lived A Girl Who Seduced Her Sister's Husband, And He Hanged Himself and had to give up. I could cry at every turn of the page! The rest of your comment is great too, but let's focus on the most important part here. You are watching Elementary!! I love Elementary S1. I was obsessed with it last year. I couldn't get into S2 at all, but still, I'm very happy to hear you're watching the show. Hahaha. I'm currently watching season 2 (only 3 episodes left) and really stressed about what to watch next! For only a handful of books, these books pack quite a punch! I always find that I read fewer books when I'm doing more academic reading, but I really don't think you should belittle yourself for it. Sometimes quality overrules quantity. It's so wonderful. I'll go hunting for your post if/when I get around to writing about it.